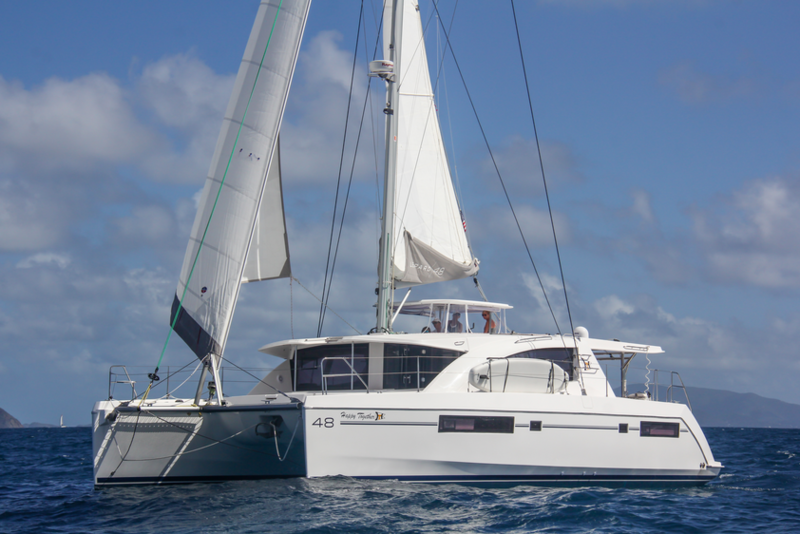 S/V Happy Together with Randy and Lennie Smith have been promoting Warrior Sailing with a special port on their website as they sail around the world on their Leopard 48 catamaran. For donations $25 or more, they send an exclusive Warrior Sailing & Happy Together t-shirt. Randy & Lennie share their love of sailing through their entertaining videos covering some amazing off-beat cruising destinations such as the caves and little-known inlets on the Sea of Cortez. In addition to featuring great locations, the blog and videos share a wealth of sailing information and tips for the cruising lifestyle. In June, they will head through Mexico near La Paz and share these amazing adventures with their youtube channel. Not just prompting others to donate, they put their money where their mouth is last year donating over $17,000 in support of Warrior Sailing Training Camps. Thanks for your support and for sharing your stories with everyone!